For the second year running, independent property finders and relocation specialists, Quintessential Relocation Consultants, (QRC), has been nominated for two national awards by the British Association of Relocation Professionals (ARP). QRC provides bespoke relocation services to private individuals and businesses relocating to the Channel Islands. The firm has been nominated for both the “Property Finder” Award for their work with private clients and the “Destination Services Provider” Award for services delivered in Jersey and Guernsey on behalf of corporate clients and international relocation management companies. 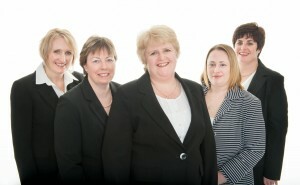 Directors Helen Hart and Jo Stoddart incorporated Quintessential Relocation Consultants Jersey Ltd in June 2013. Mrs Stoddart originally founded QRC in May 2010 in Guernsey, but as a former Jersey resident she also received requests from previous clients to provide services in Jersey and began working with Mrs Hart in 2012. 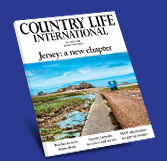 Mrs Hart commented “The awards come after what has been a busy year since incorporating the Jersey office in 2013. The business was also shortlisted for two awards in the Guernsey Awards for Achievement earlier this year so we are hoping that it will be third time lucky for us! Both Jo and I are recent graduates of the European Academy of Relocation Professionals MIM qualification (Managing International Mobility) and as a team we are continually looking for ways to enhance our service offering to clients who are relocating to the Channel Islands. To be nominated for an award at this level is a great incentive to keep focussed on our plans for the future”. The directors and client-facing staff have all had personal experience of international relocation and understand the challenges for individuals and families moving around the globe. “Our clients relocate to the Islands for a number of reasons. Whether they come from the UK or further afield, all have similar issues. Usually there is very little time to find a new home and to deal with the various administrative and practical issues involved and the whole experience can be quite stressful” said Mrs Stoddart. “Having an expert working on their behalf to source, preview and shortlist the most suitable properties can relieve the pressure for clients and save them a lot of time. It is also reassuring for clients to know that our advice is completely independent and that we act at all times in the best interests of the buyer or tenant. Mrs Stoddart will be travelling to the UK to attend the ARP Awards Dinner which will be held on Thursday 11th September 2014.